I’ve purchased all of the AudioDamage AU’s for iOS and they are all brilliant. For the price of one overblown “artist signature”plugin on desktop you could buy all of the iOS AudioDamage AU’s and still have enough dough for a sammich. 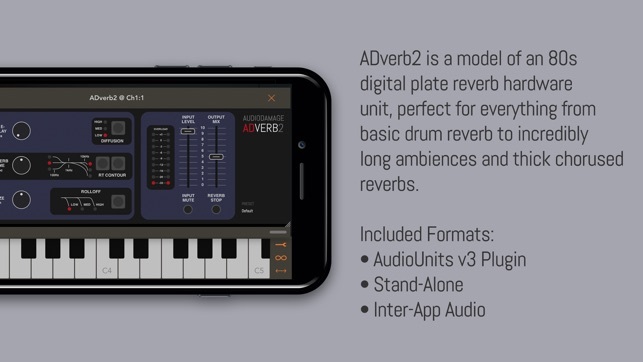 ADverb really captures that ‘80’s reverb sound of units like the Lexicon PCM’s & the early Yamaha SPX90; very ‘digital’ but in a good way. 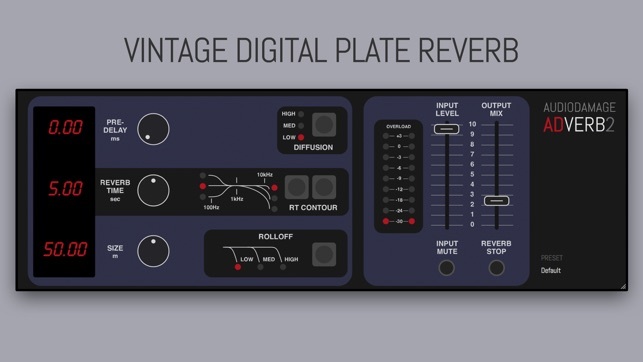 There’s a sheen and bite that digital plate reverbs have that AudioDamage has totally nailed. 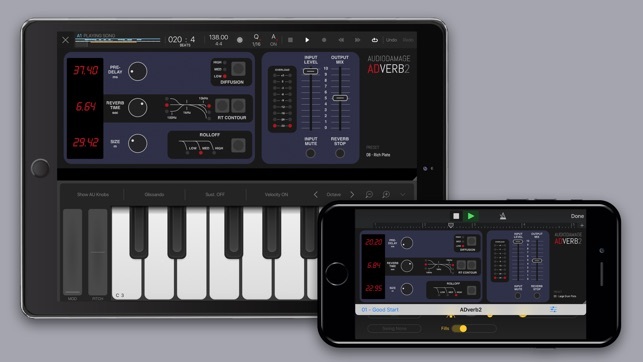 If you play synths predominantly and produce EDM & other types of electronic music then this reverb will fit the bill and then some. Highly recommended. © 2018 Audio Damage, Inc.